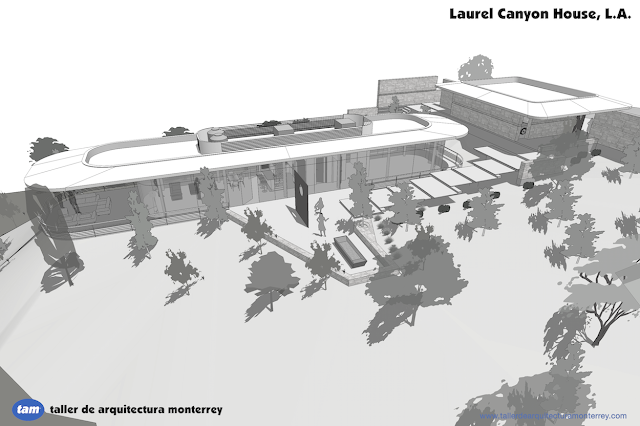 Single Family Residential project in the mountains of Monterrey, Mexico. The name of the project comes from the large collection of art objects that has grown over the years; the family (and the collection) needed a new larger home to properly display the many sculptures, paintings and installations, also wanted were dedicated spaces like a wine cellar, a game room with a full service bar, a hobby room, storage, a private terrace and garden and a swimming pool. The original name of the project, 'Tree House' came from the requirement to include three large Oak Trees that stand mighty in the property, and were incorporated into the design process that became the finished house. This project was featured In Architizer.